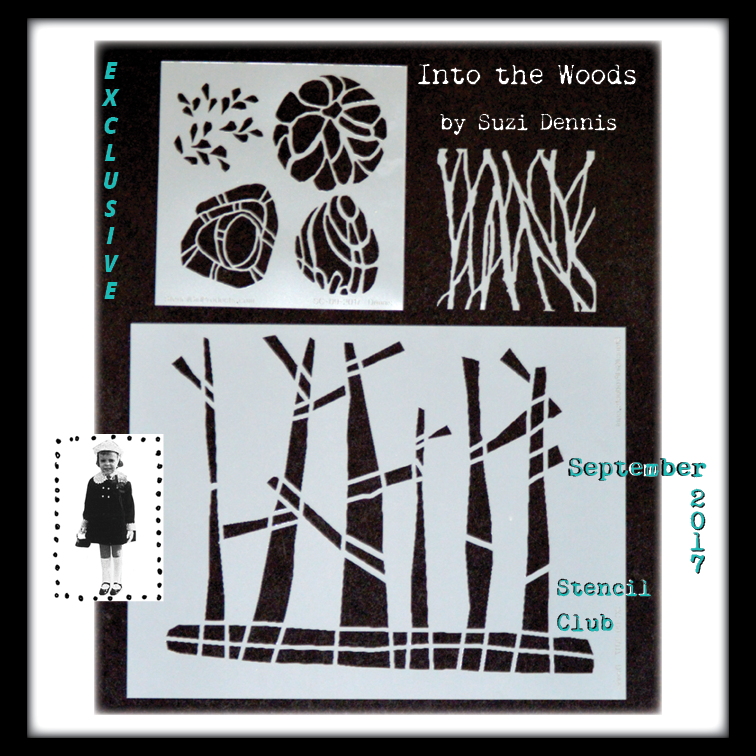 StencilGirl Talk: September 2017 StencilClub Reveal: Into the Woods! 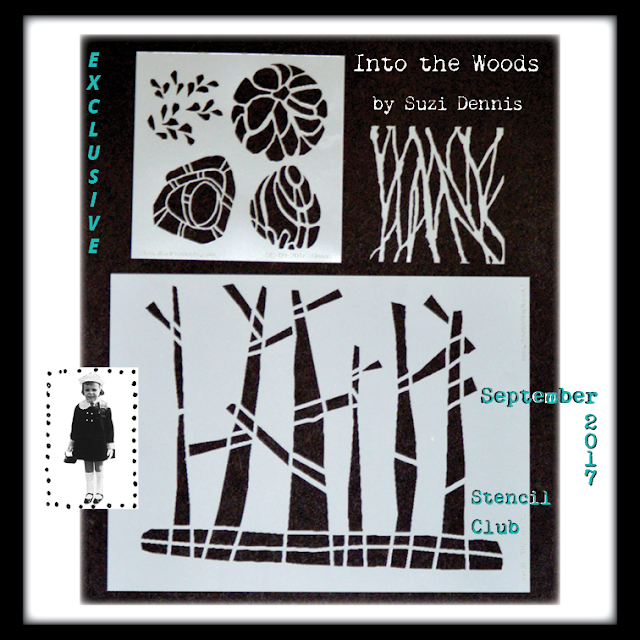 September 2017 StencilClub Reveal: Into the Woods! 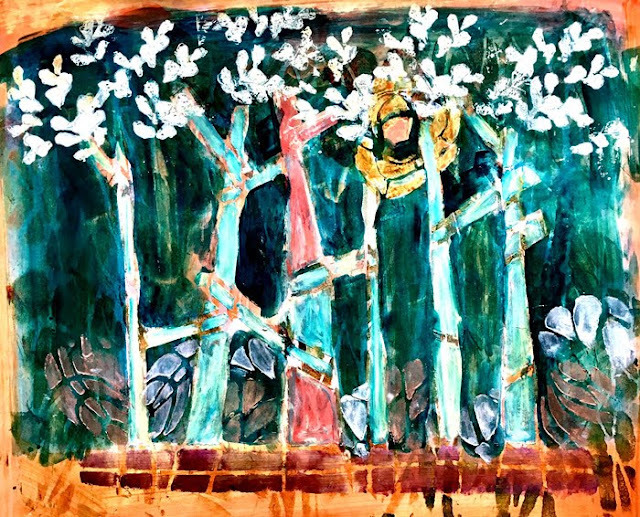 You won't need a walking staff, hiking boots, or bug repellant when you make a painterly trip Into the Woods designed by Suzi Dennis. Use the tree trunks, branches, and organic shapes and leaves of the this September 2017 StencilClub set to create your own woodland adventure in stenciled art. Suzi will lead you though a few of her favorite stencil techniques so you can paint your own luminous artwork with her exclusively designed stencils. Already a member? Then you know about the coupons, secret Facebook group, tutorials, and surprises. If not, and you want these exclusive Into the Woods stencils shipped to you on the 15th, you need to be a member of StencilClub. You can get all the details and JOIN HERE. Suzi's stencils, a scrappy cat, flowers, marks, an alphabet and more are available HERE. Wow!!! Your finished pieces are gorgeous, Suzi! The stencils you designed are fabulous!!! Looking forward to receiving them!! !